… I did it again. Once again they raise my ire as they deliver a minivan model “imported from Detroit” … literally. I am speaking of the Routan/Grand Caravan. When they first launched Routan a few years back I expressed in words that my opinion of the brand slapping their badge on someone else’s work was not winning any accolades from me. To be fair, this is a very good minivan and ALL the credit goes to Chrysler. I remember what the German automaker has done with the segment in the past (Microbus) and I feel they should stick to their roots and deliver something more in line with the earlier “Bullis.” Recently they have shown a concept or two and there is even word they may bring back the Microbus in 2014. Hazzah! For now I suppose they have to generate interest in moving some of their loyal ones over from a big sedan or SUV to a big box. 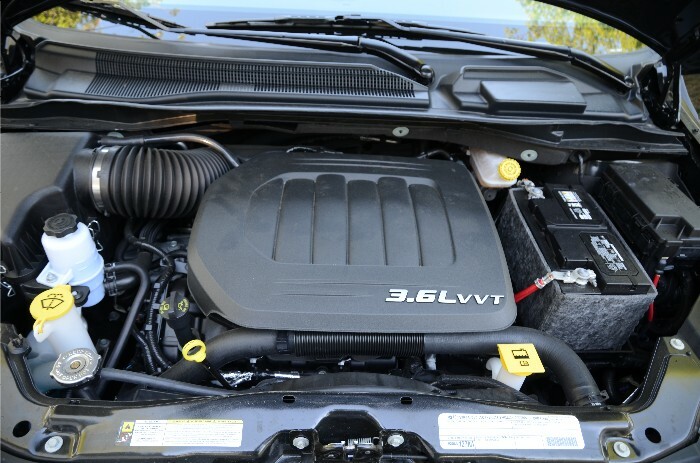 For the 2011 Routan, things have improved – namely the powertrain. The upgrade includes Chrysler’s new flagship 3.6-liter V-6 engine that delivers 283hp in this application. 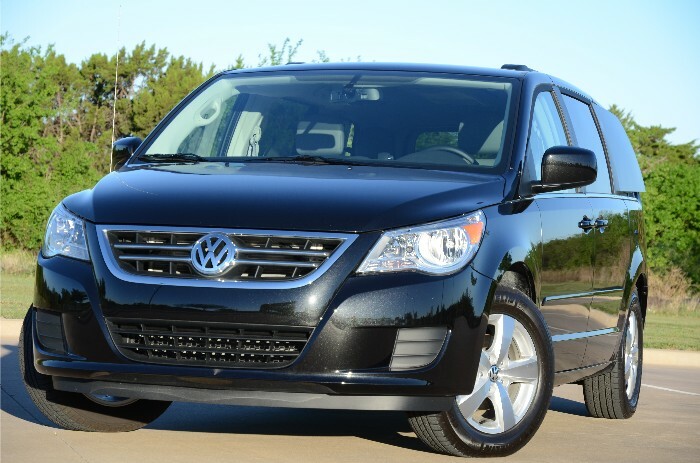 The Routan zips around nicely and when you need to pass there is plenty of power in reserve. 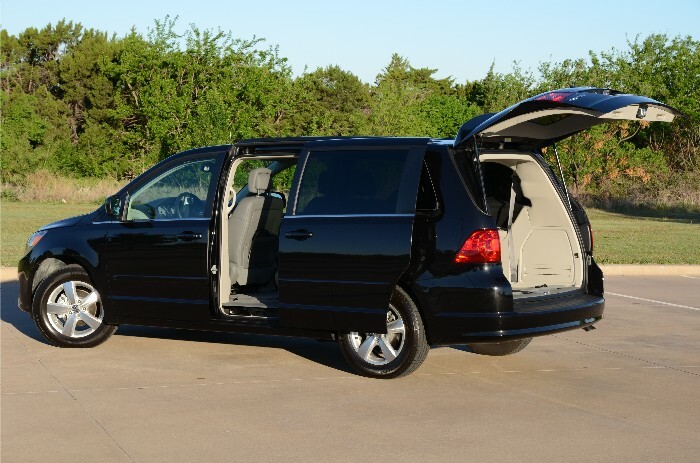 A weekend run to the Texas Hill Country proved the new Routan was even worthy in the curvies. Ride is a bit stiff when compared to the more refined Chrysler Town & Country we recently tested but the Routan proves its mettle – again, the kudos go to Chrysler. The argument could be made in favor of Volkswagen execs who made the decision to source their minivan from another automaker, saving consumers the added R&D costs in the final sticker of the vehicle, and you would be correct. But I still won’t budge from the fact that given the storied history of the brand I would much rather see something of their own. I hope the prognostications come true and I hope the automaker keeps it in-house. Back to the model I recently tested, I still don’t like the dashboard-mounted shifter but just about everything else works well in the unit. And fuel economy figures were better than the 17 mpg city and 25 mpg highway the vehicle is rated for. Pricing starts at $34,750 for the SE model we tested. 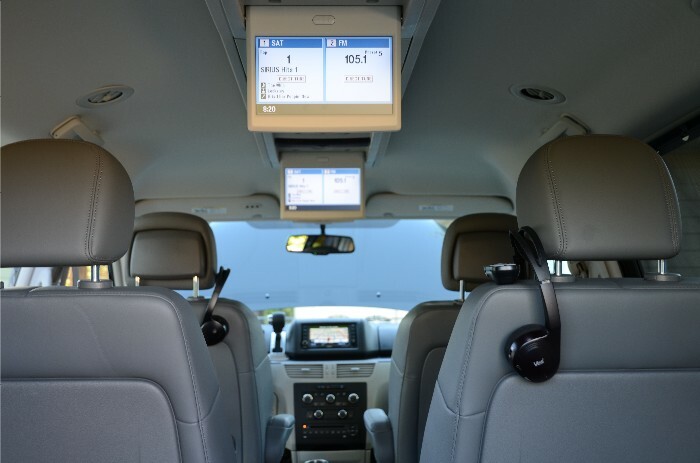 This particular trim package was priced with rear seat entertainment and navigation. I would like to see a larger in-dash display such as the Chrysler uses, the Routan screen is a bit crowded. Aside from that, good job Chrysler … I mean, Volkswagen.